It’s official !! 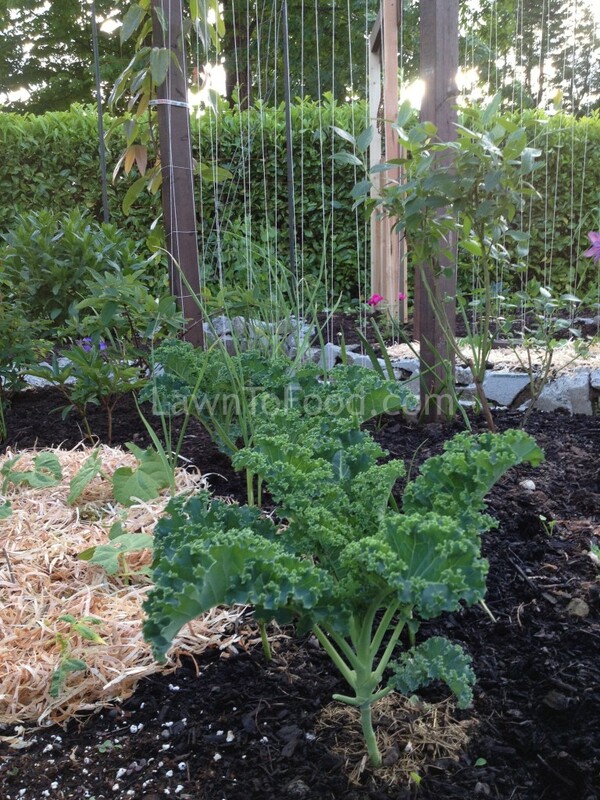 My bumper crops for 2013 are Kale and Carrots! (Green Beans and Broccoli were also in the race for top spot.) Last year, Green Peas were leaders of the pack, along with Salad Greens. I am learning that each gardening year brings a different type of bounty to our table. Knowing this, it’s important to take advantage of whatever the garden offers to us. I’ve talked a lot about canning and drying vegetables to preserve them for the winter months, but I also have done a lot of cooking and baking to fill my freezers. A couple months ago, my sister asked me to bake some goodies for her weekly bake sale at work, to raise funds for Breast Cancer’s “Run For the Cure”. I agreed, of course, but wasn’t completely comfortable baking sugary, fat-loaded treats in the name of a cancer cure. In my opinion, consumption of fresh vegetables and pesticide free fruit can be very beneficial in preventing most cancers. My question was … How could I profess my food philosophy at a bake sale? 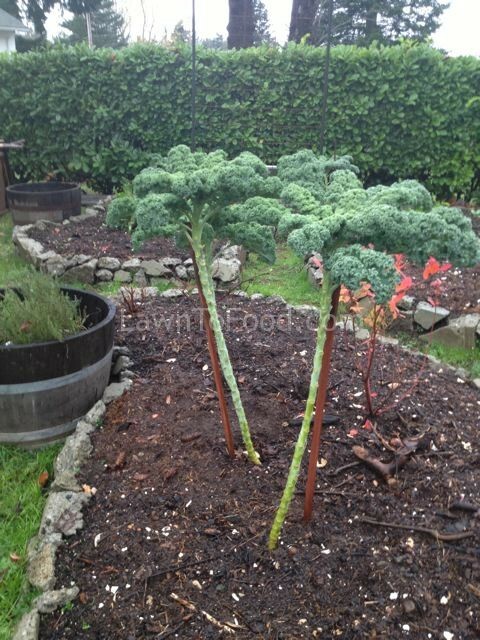 The same Curly Kale plants today (Nov 10) still producing vibrant leaves. It was pretty easy to answer actually, I just turned to my garden for inspiration. 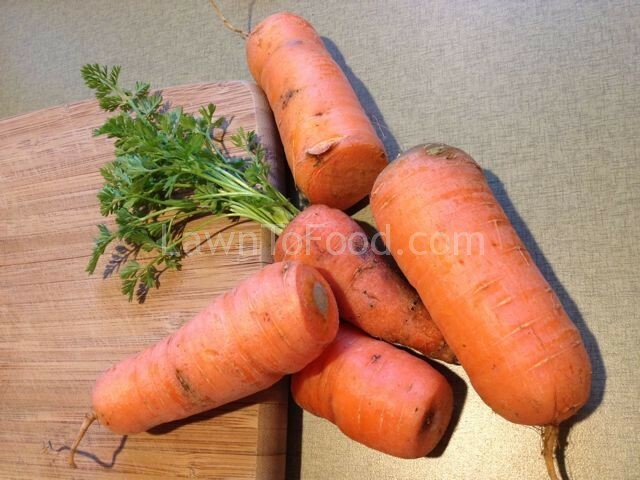 There I found, you guessed it … Kale and Carrots. 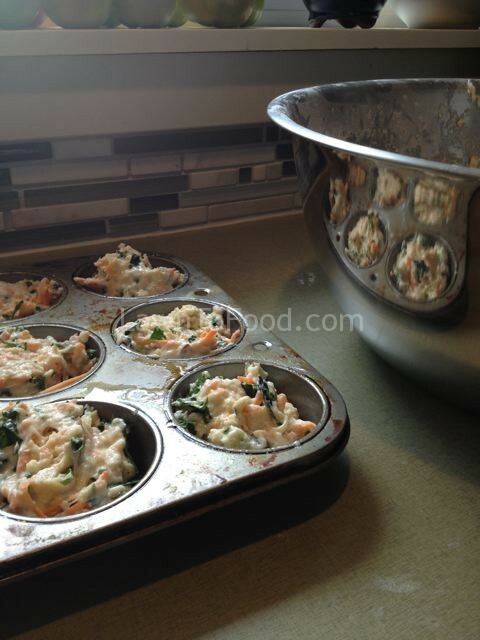 To honor my colossal crops of Kale and Carrots I developed a new muffin recipe. I also picked handfuls of Kale to bundle and offer for sale on the baking table. Why not? It is all money in the pot! I trimmed and grated up some of my not-so-perfect carrots and chopped handfuls of both Curly and Latcino Kale for the muffins. I roughly followed a Carrot Muffin recipe, but I cut back the sugar quanity, and added 1c. of chopped Kale along with every 1c. of grated Carrot. The results were awesome!! The Kale & Carrot muffins were the first to sell out at all 3 Bake Sales!! My sister and her colleagues raise well over $1500 for the Run for a Cure campaign. I was happy to help out. 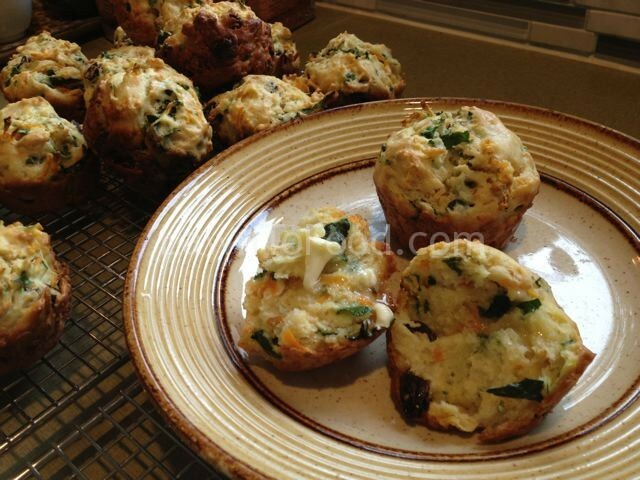 I’ve also tucked away several dozen muffins into our freezer for winter munching. 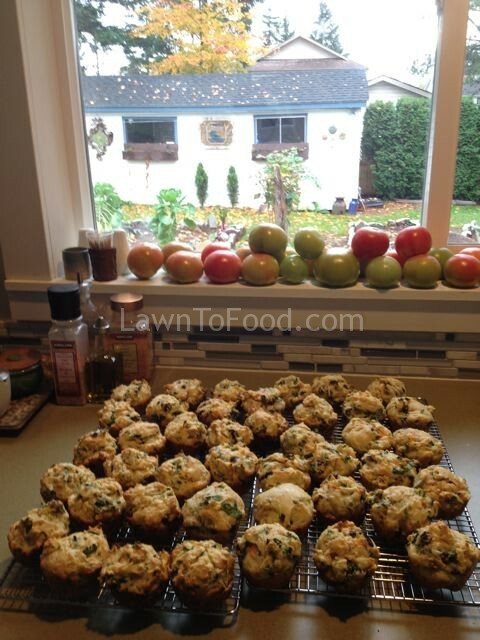 This entry was posted in Crop Planning, Fresh Vegetable Ideas, Growing Food, Let's Eat, Reep the Harvest and tagged bake sale, carrots, kale, muffins by L2Fadmin. Bookmark the permalink.